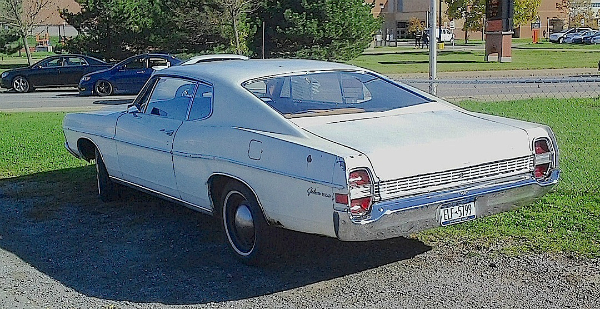 The fastback body style was new when this 1968 Ford Galaxie 500 hit the streets 47 years ago. It would stick around for only one more model year, as it never sold near the numbers of the more formal-roofed version. Too bad, because I kind of like it. I always get a kick out of finding these relatively rare, well-preserved everyday cars. This one includes a bonus: Baby Moon hubcaps with the almost obligatory white sidewall tires! Seen on a bicycle ride over the summer in the neighborhood of Buff State. Jim Corbran, RRofWNY …and check out our Facebook page: Non-American Classic Cars The post RealRides of WNY appeared first on Buffalo Cars.